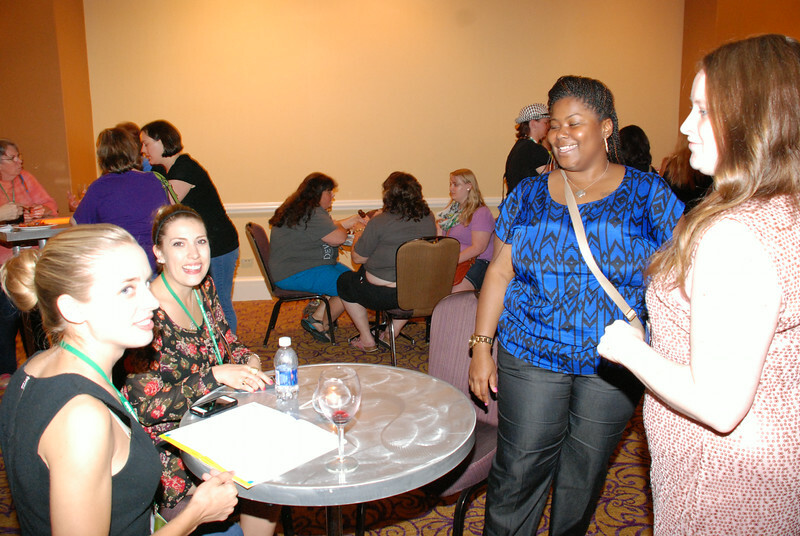 (left to right) Heidi Gerrish, Mariah Curtin, Lydia Hightower and Judy Jackson mingle at the Friday night Café Chocolate Lounge. Gerrish and Curtin, students from Lutheran Campus Ministry at the University of Arizona, tweeted about Café and triennial happenings. EH.